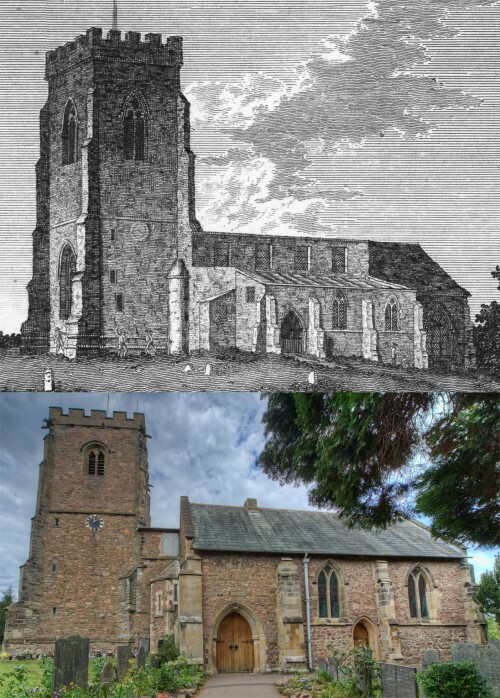 The older picture is an engraving of Quorn Church in 1792, taken from John Nichol's book 'The History and Antiquities of the County of Leicester', Volume 3, part 1, published in about 1800. Significant changes to the Church were carried out in the 19th century. In 1842, the door to the Farnham Chapel was moved and this can clearly be seen by comparing the two pictures.